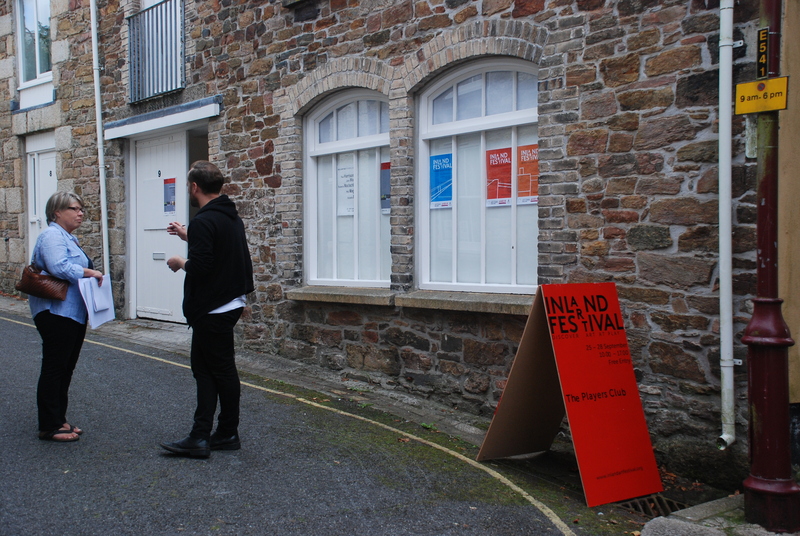 Notes on Inland Art Festival 2014, from Professional Writing MA student Charlotte Sabin. Arriving in Redruth for the first day of the Inland Art Festival, I realised it would be the first time I would stop in this Cornish town that I had passed through on so many occasions previously. 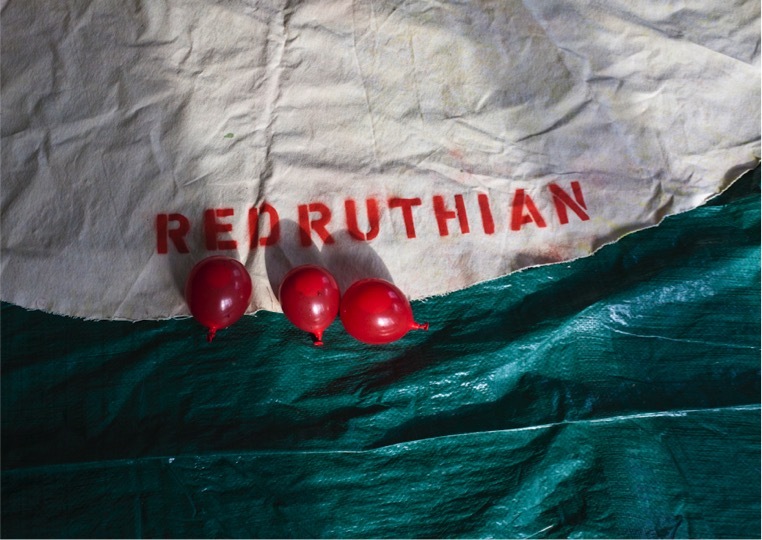 The weekend of 25th – 28th September saw Redruth play host to a contemporary arts festival that animated the town. Not having explored the town before, I followed pop pink placards up the cobbled high street towards festival headquarters, the Old Boots Space on Fore Street in the centre of town. Each floor of this grand building was now home to a concoction of art installations, from sound and light work to visual creations, screenings and interactive workshops. Disused buildings that previously sat stagnant on the high street had been thrust into the modern day, with each corner of the town enveloped in activity. From basements to attic rooms, a plethora of creative work now demanded attention. Interactive workshops offered a chance for all ages to create crafts and learn new skills across the weekend, like the session I attended with local artist Ro si Jolly on Sunday afternoon designing and creating kaleidoscopes. 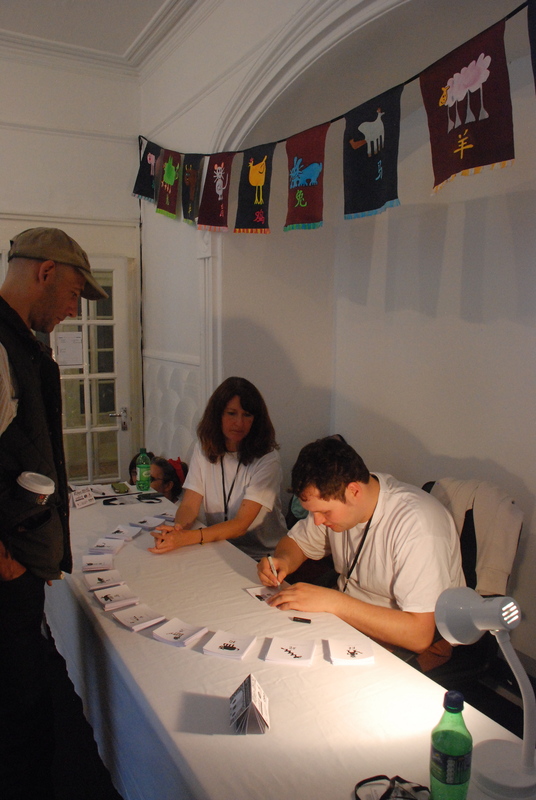 All visitors were invited to get involved with the art at every stage. The same day, Julia Vogl worked with her audience to create her social sculpture, asking people to select a colour filled balloon that they then had the opportunity to hurl onto a blank white canvas in the upper rooms of the Old Boots Space, creating a chaotic map of the visitors to the festival. The long weekend felt new and exciting, full of possibility for the future. Community based project APEX part of The Players Club presented a collaborative edge to this contemporary festival as the work constantly changed and developed with each new audience across the four days. There was a real feel in the town that this was an opportunity, with a huge variety of work across diverse platforms. 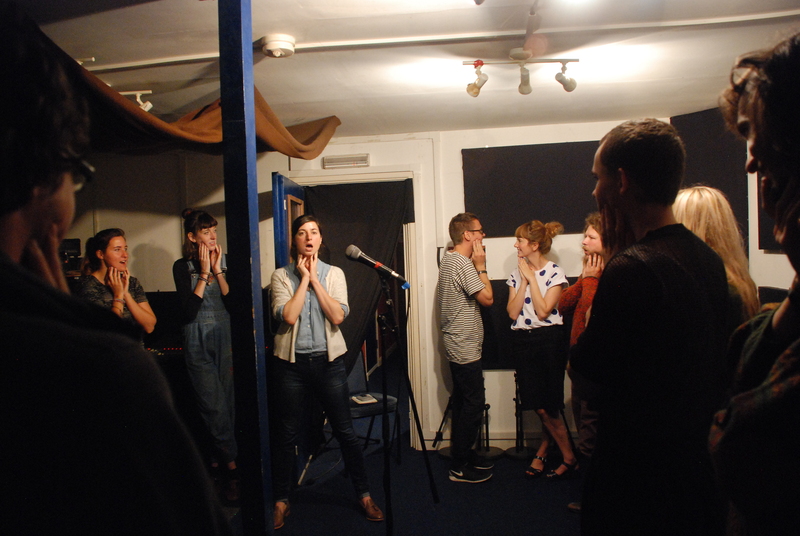 In a small dark room on West End as part of The Playing Fields, Emma Smith and Dr Lawrence White conducted a sound experiment in which participants had to create a new language. Eighteen slightly nervous looking volunteers were placed behind curtains in small groups and prompted to communicate only using one syllable sounds. All data collected will contribute to the project 5HZ, which will be collated into an exhibition at the Arnolfini, Bristol for 2015. At Back Lane West, Wood & Harrison’s 10 x 10 trapped audiences. It was almost impossible to drag your eyes from the screen which featured a rolling camera that thrust li ght into an office space flecked with the bizarre, like a spandex clad Spider Man hoovering after office hours. The rhythm of the rolling screen pulled you into the room, resulting in anticipation of what might be found in the next office. This theme of challenged expectations felt consistent across the exhibition spaces. Everyone came together to make this festival work. The town didn’t feel as though it was merely a series of galleries, it was the framework that gave a platform to the art. As a student, I can see the opportunities that this festival has created and will continue to create in the future for new artists in Cornwall, building communities of the talented creative thinkers that the county has to offer. Text Charlotte Sabin, photographs George Meyrick.